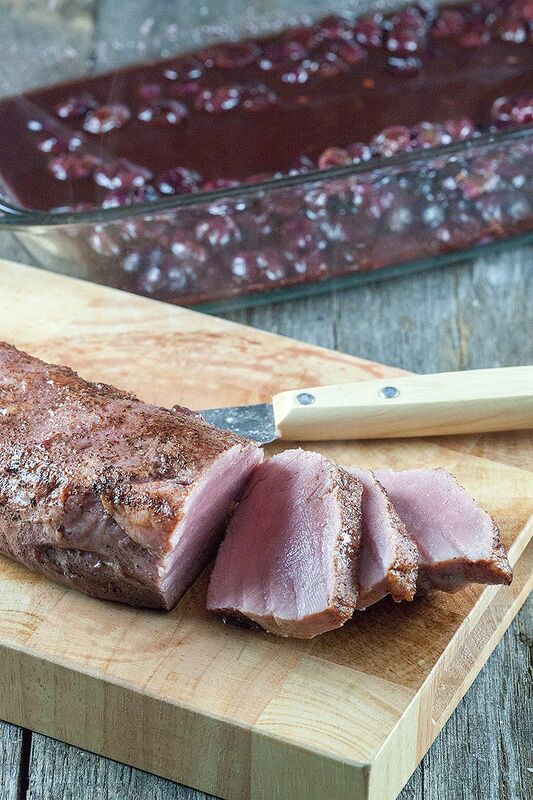 Simple, tasteful and especially tender seared pork tenderloin. 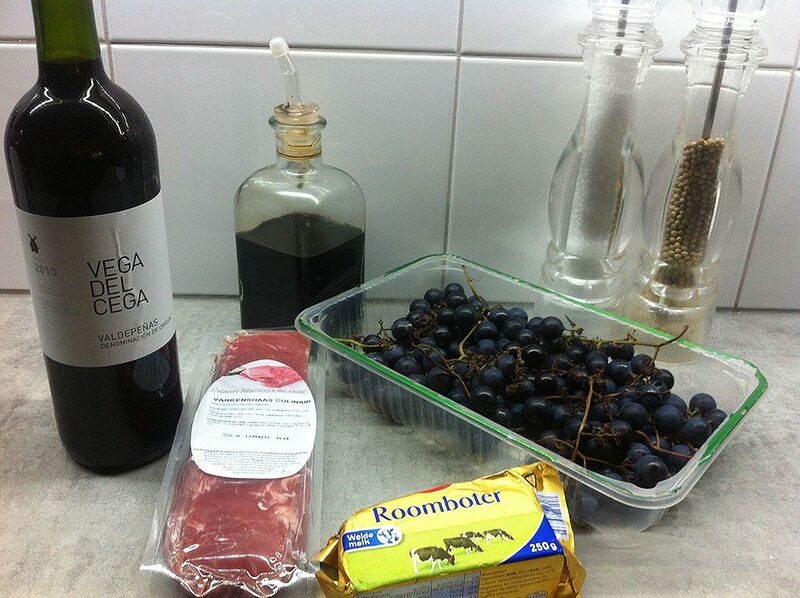 Served with an easy red wine, balsamic vinegar and grapes sauce. PRE-HEAT the oven to 160 degrees celsius or 320 degrees fahrenheit. CLEAN the grapes under cold, running water and set aside. RUB the pork tenderloin with pepper and salt. HEAT butter in a large skillet and sear the tenderloin on all sides until it’s beautiful golden brown. That will only take a few minutes. 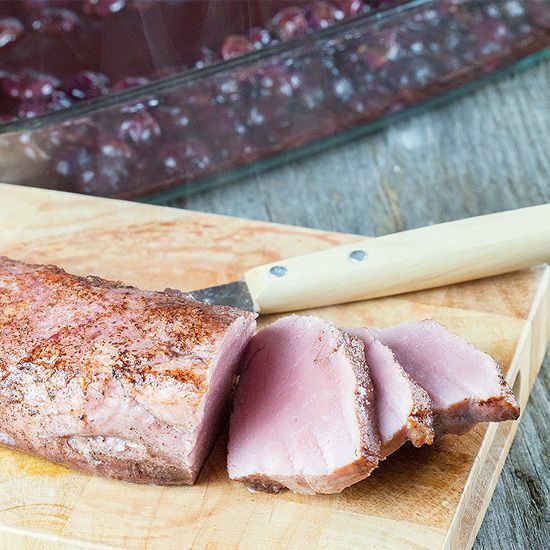 TRANSFER the pork tenderloin to an oven dish and ADD red wine to the skillet you just used to deglaze the pan using a wooden spoon. ADD balsamic vinegar to the pan and let it cook on medium heat about 5 minutes. ADD the grapes and toss it a few times. 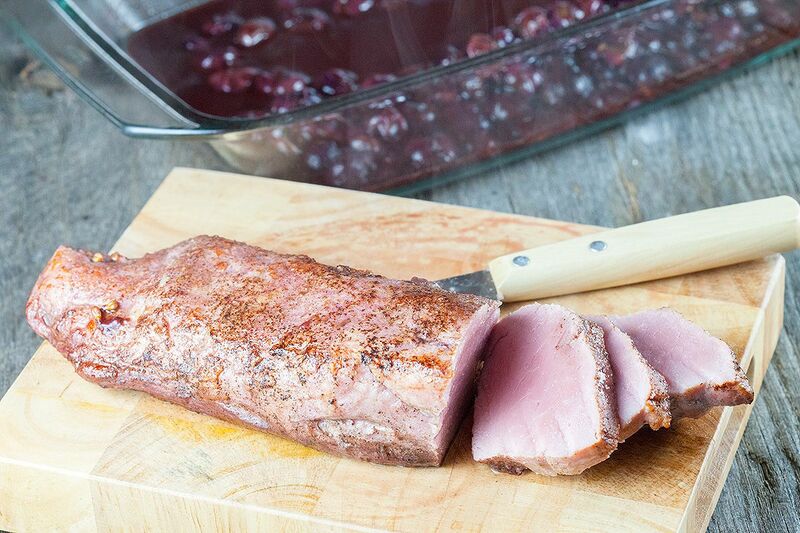 POUR the red wine reduction onto the pork tenderloin and place in the oven for about 15 minutes. The tenderloin should still be rose and to be exact, the temperature of the thickest part should be 53 degrees celsius or 127 degrees fahrenheit. You can measure this using a meat thermometer. Serve with potatoes (mash or oven roasted) and roasted vegetables.